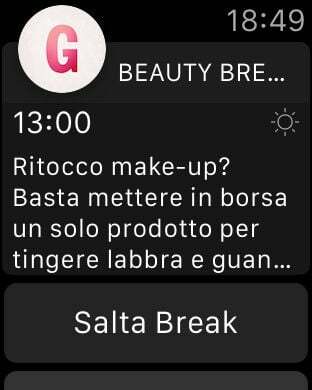 Take care of your beauty with Glamour Beauty Break, now also with Apple Watch. 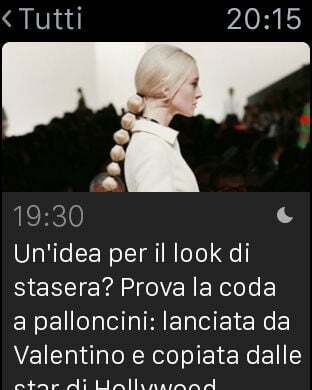 Morning, afternoon and evening: everyday simple tips, useful and immediate for you, a real beauty addicted, from your iPhone and from your Apple Watch. Tips & tricks up-to-date for your daily beauty routine: from make-up to hair, the news from the best cosmetic brands, diets, and the trends in fitness. With the help of experts and testimonials from bloggers and youtuber, receive information tailored to the time of day and the season, complete with how-to instructions that you can immediately put into practice every day to be more beautiful. 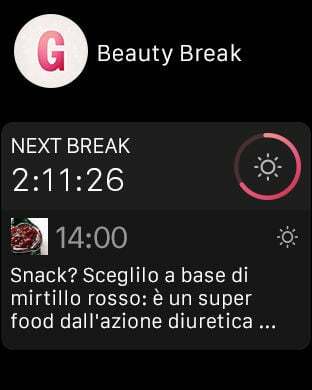 Fast, funny, personalized: download immediately Glamour Beauty Break and start your trip in Glamour, your beauty! And now you can also sign in, to save your favourite beauty breaks and have them always updated and in synch, on your profile, both in the app and the Glamour.it site.